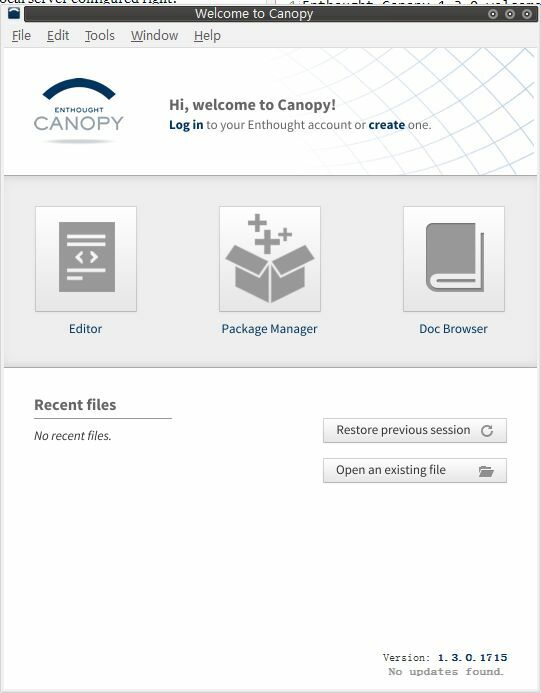 After a fresh install of Enthought Canopy 1.3.0.1715 win x86 version, it starts with a welcome error. A possible solution is mentioned on the enthought blog in a reply of this post. I am still inexperienced to know why this solution works. 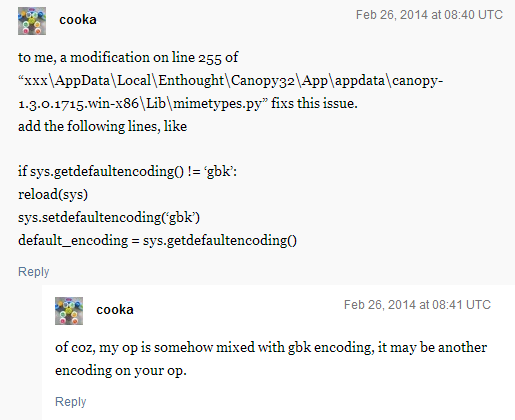 However, from the code, it can be found that the windows xp doesn’t provide a proper return string ‘gbk’. 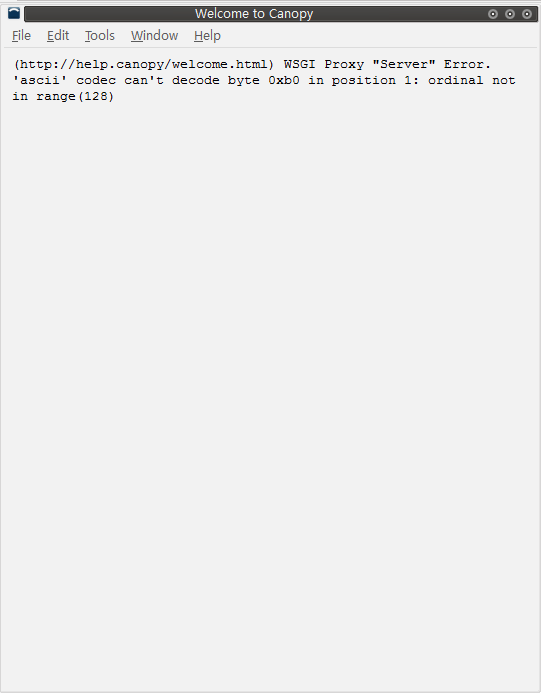 In the solution, the system default encoding is set manually to ‘gbk’. The problem could be the system - windows xp, but also could be the python function, which provides the system settings.